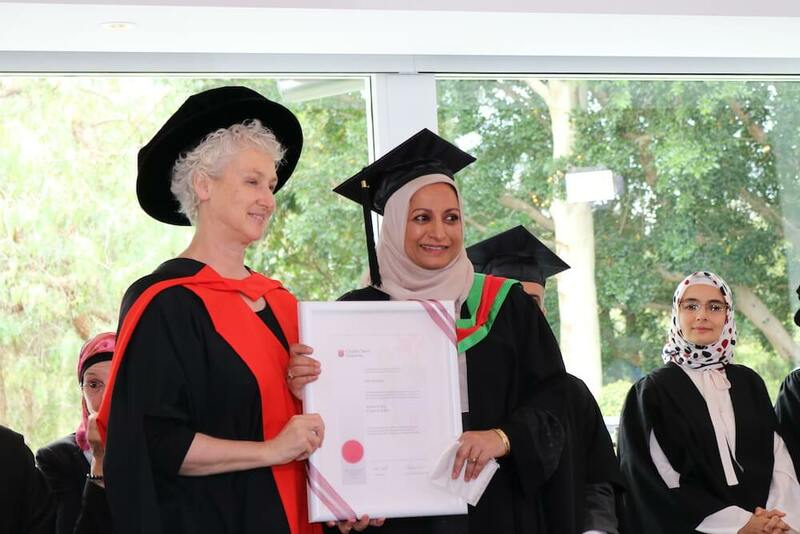 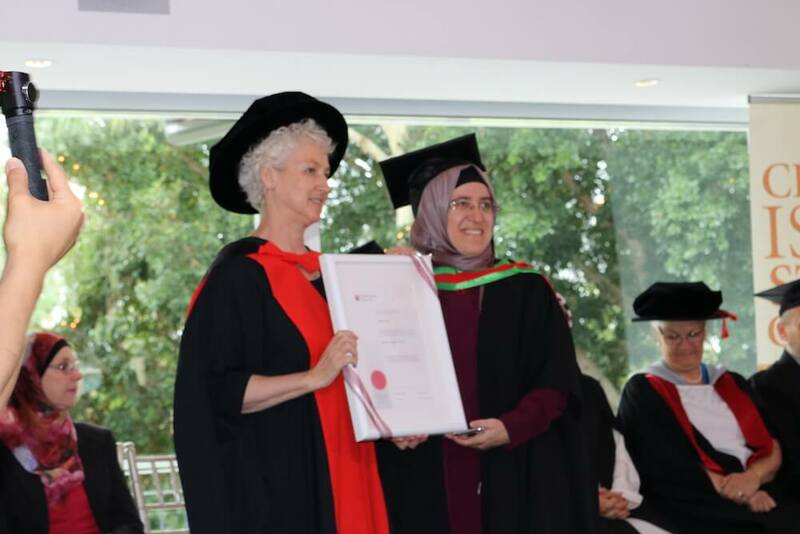 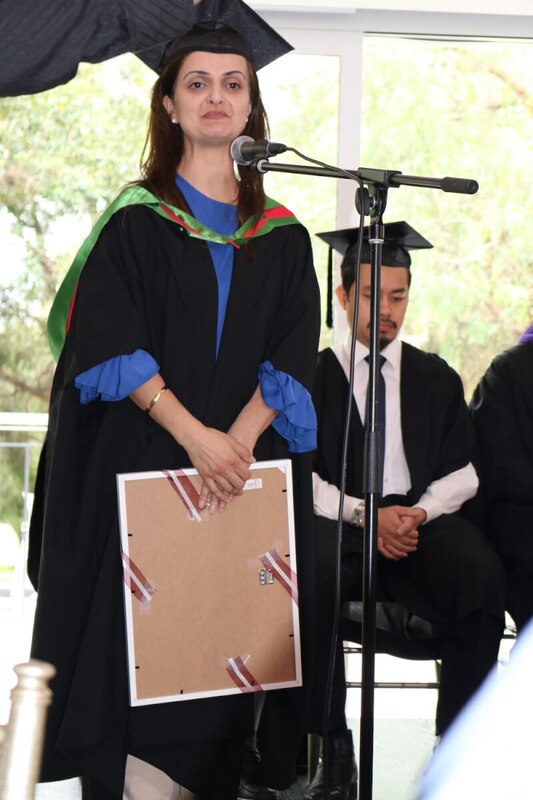 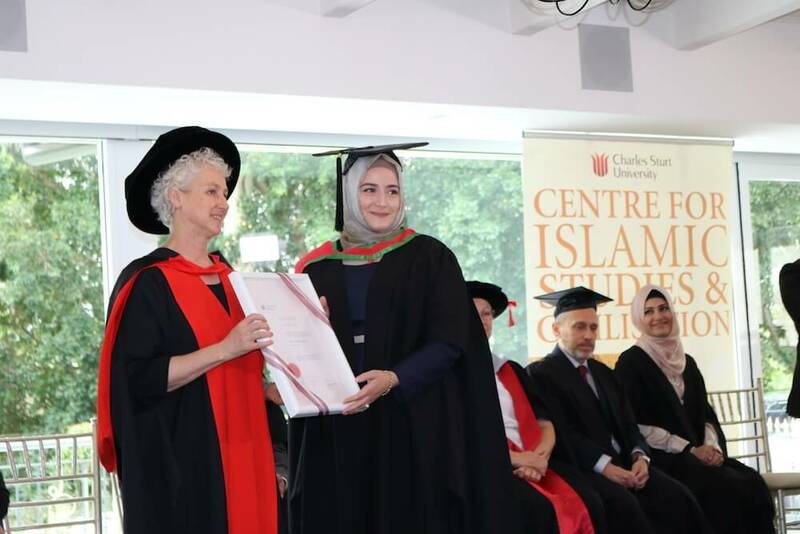 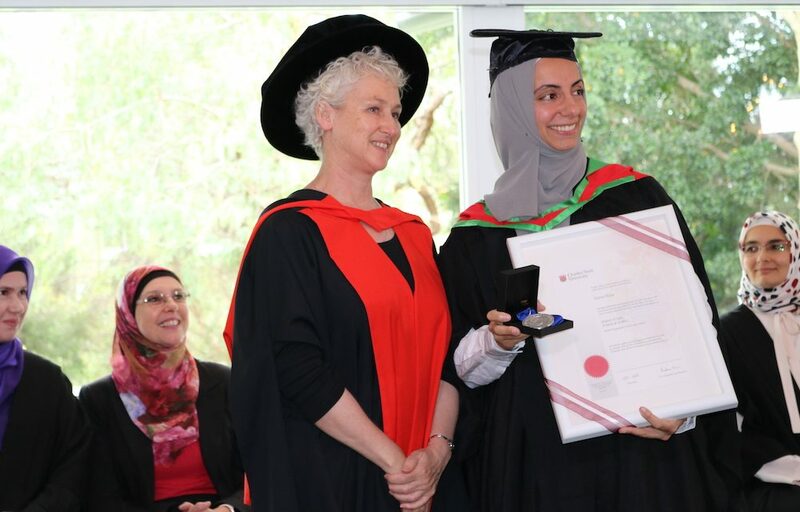 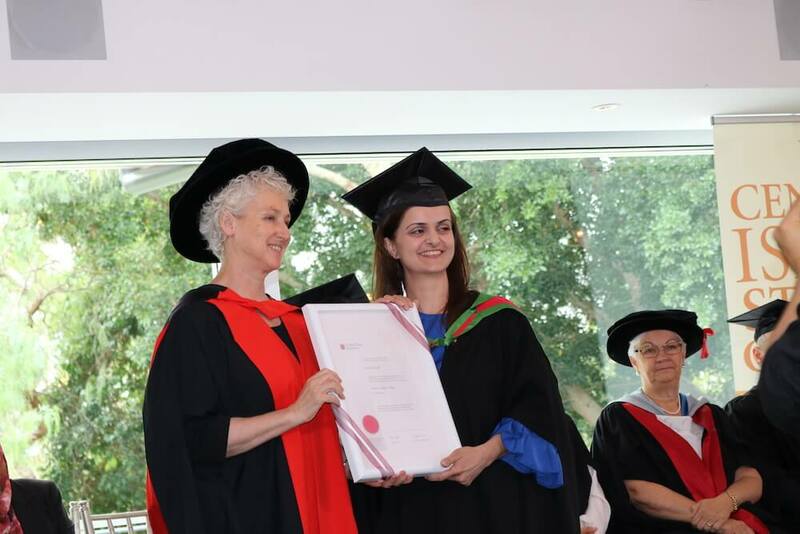 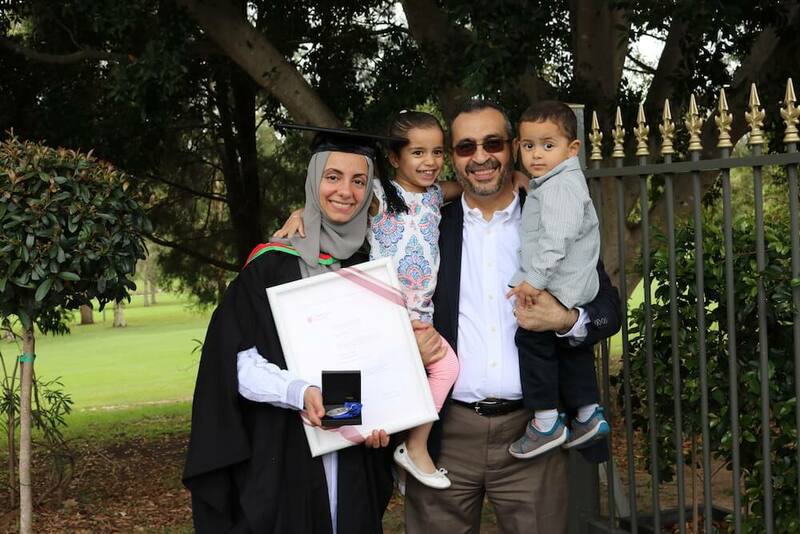 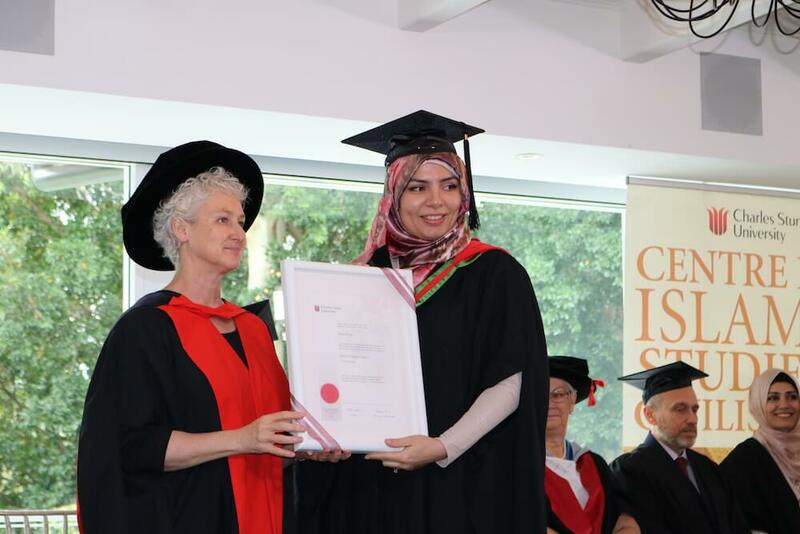 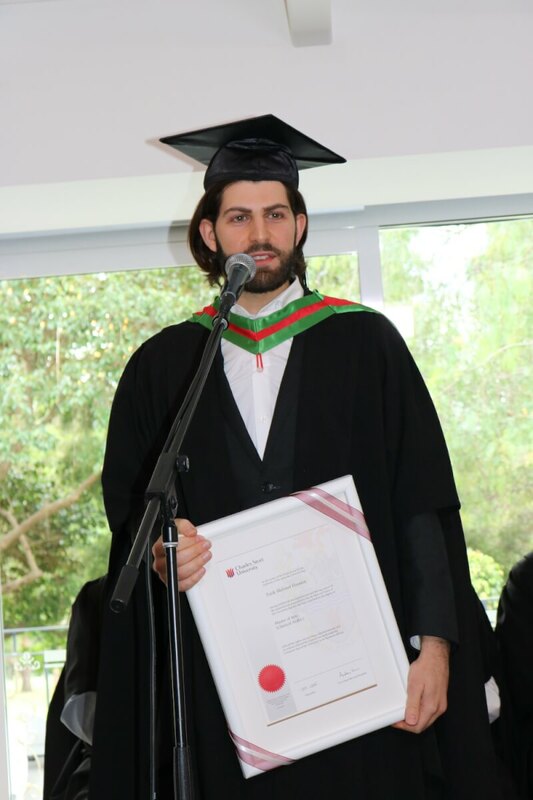 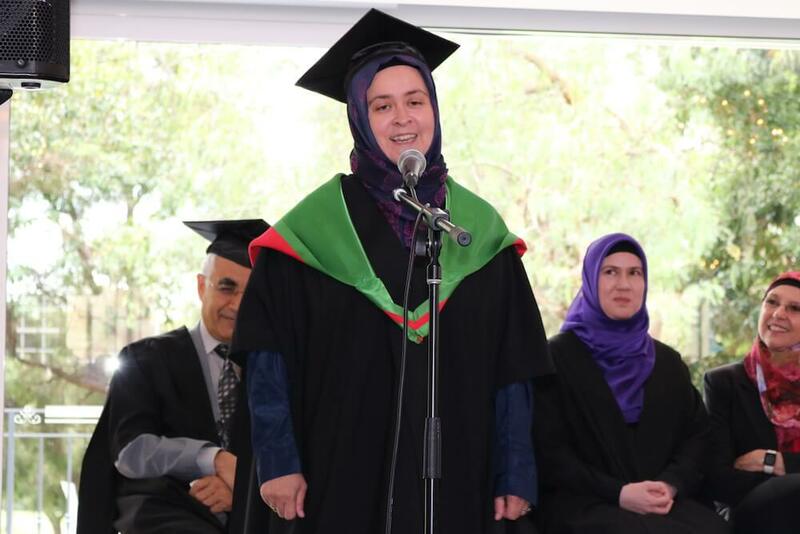 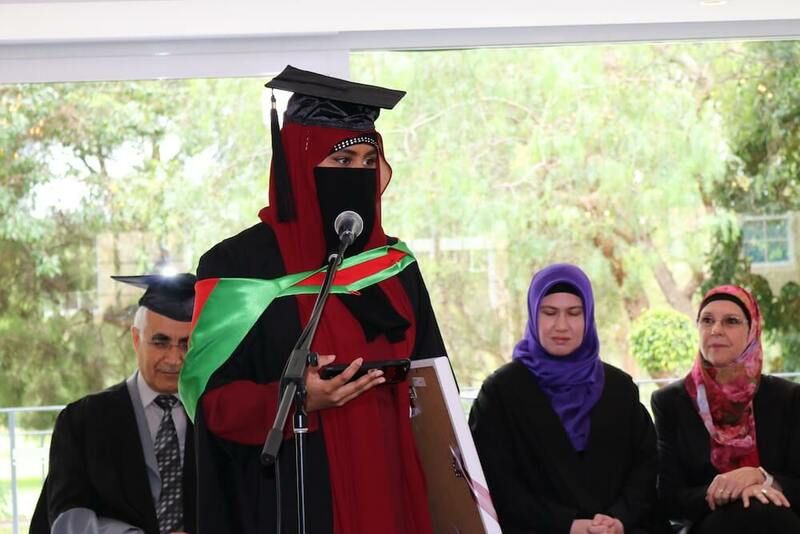 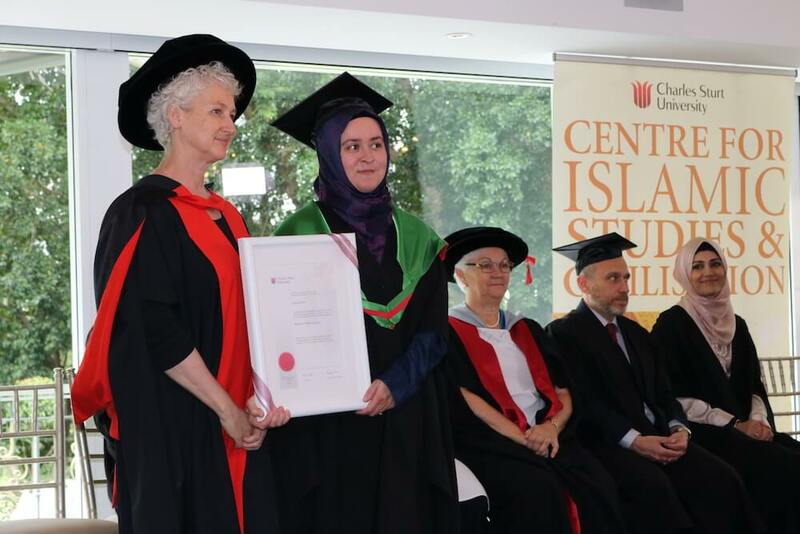 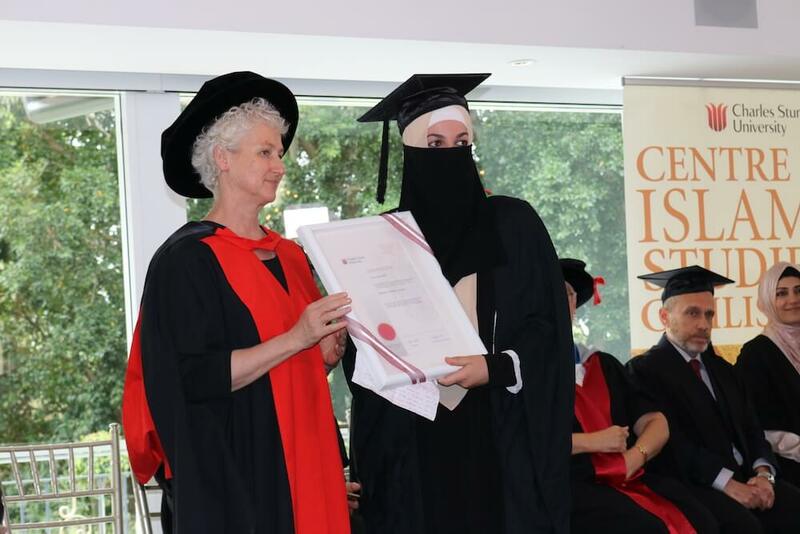 Emna Malas, a graduating Master of Classical Arabic student at ISRA has won the University Medal at the Charles Sturt University (CSU). 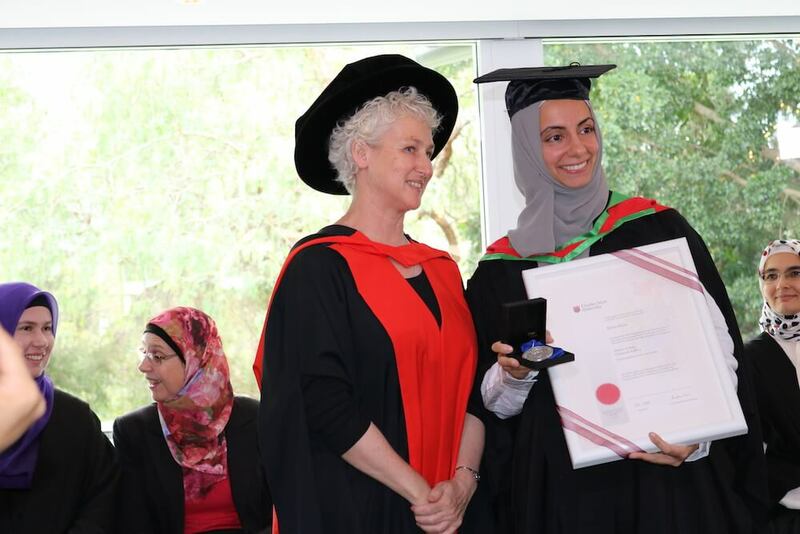 She is one of the eight University Medal winners for the year 2017 out of more than 40,000 students currently enrolled at CSU. 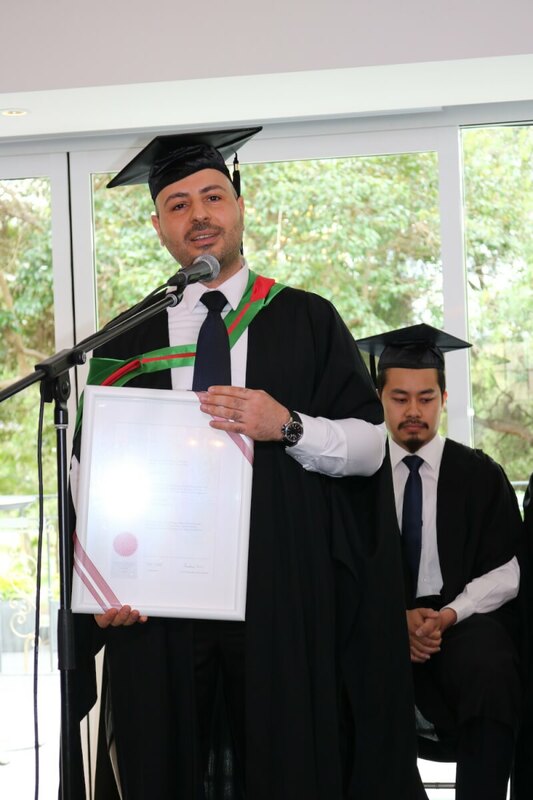 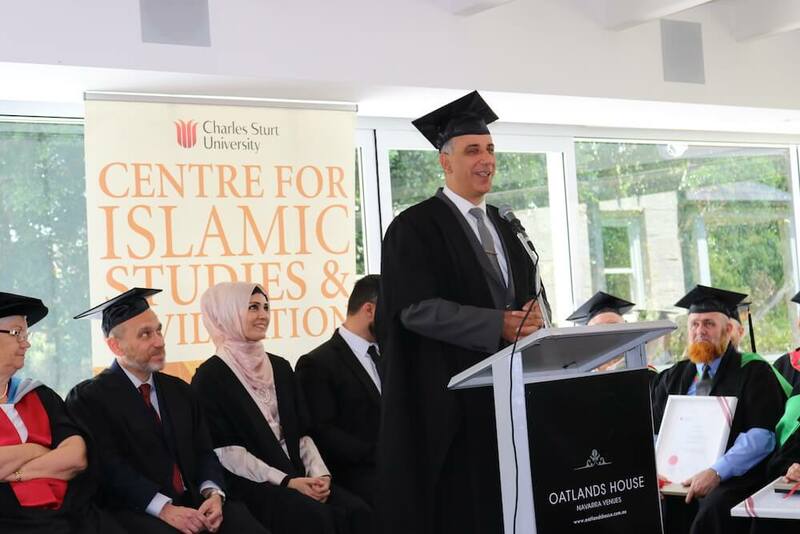 The Centre for Islamic Sciences and Civilisation (CISAC) at Charles Sturt University in partnership with Islamic Science & Research Academy (ISRA) held its yearly graduation presentation on Saturday 9 December at Oatlands House, Oatlands, Sydney. 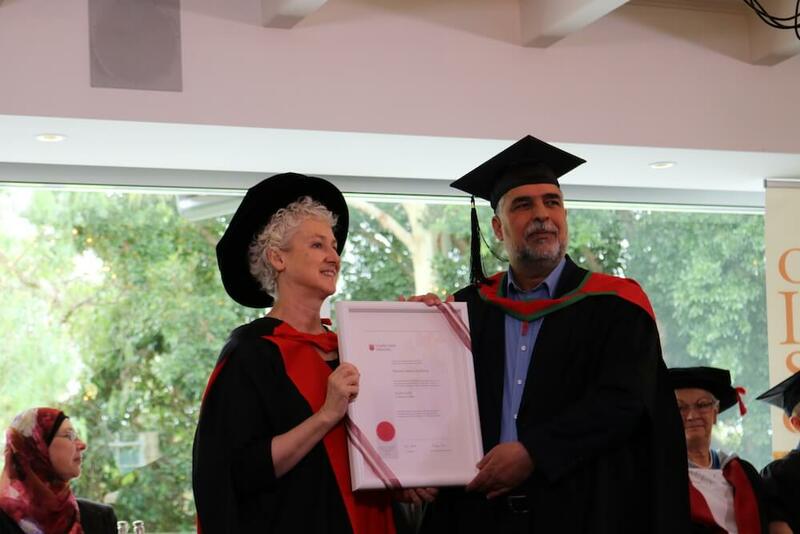 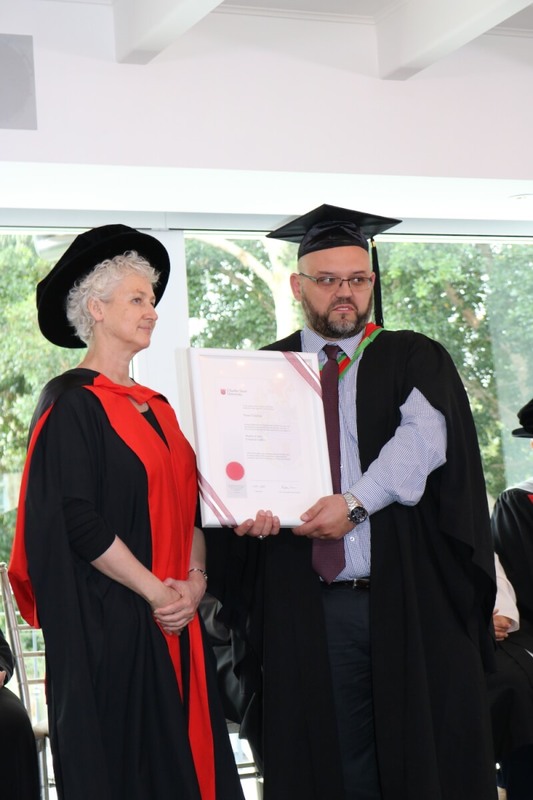 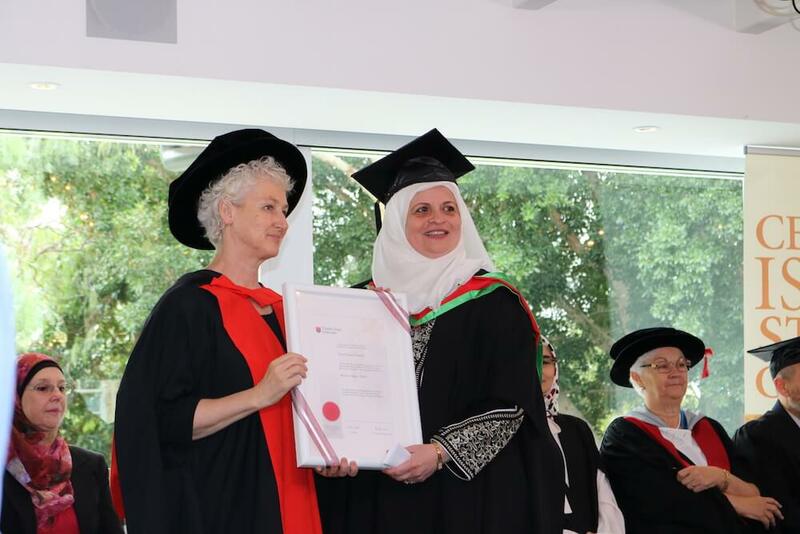 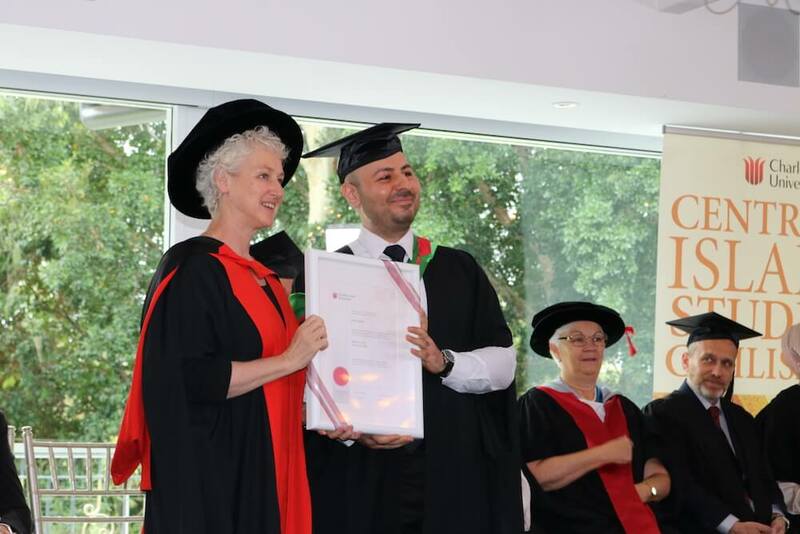 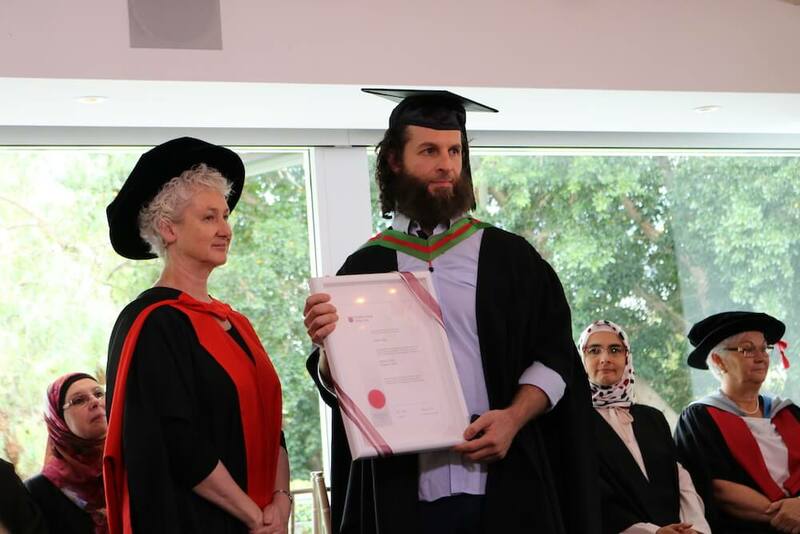 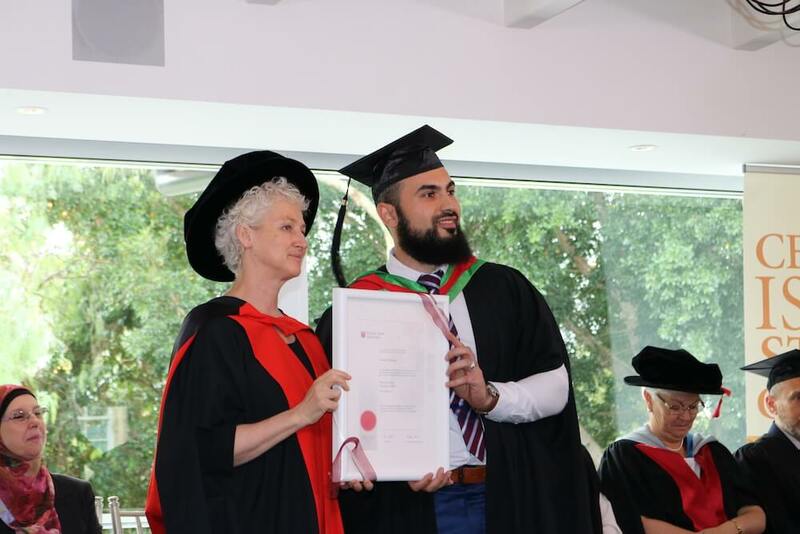 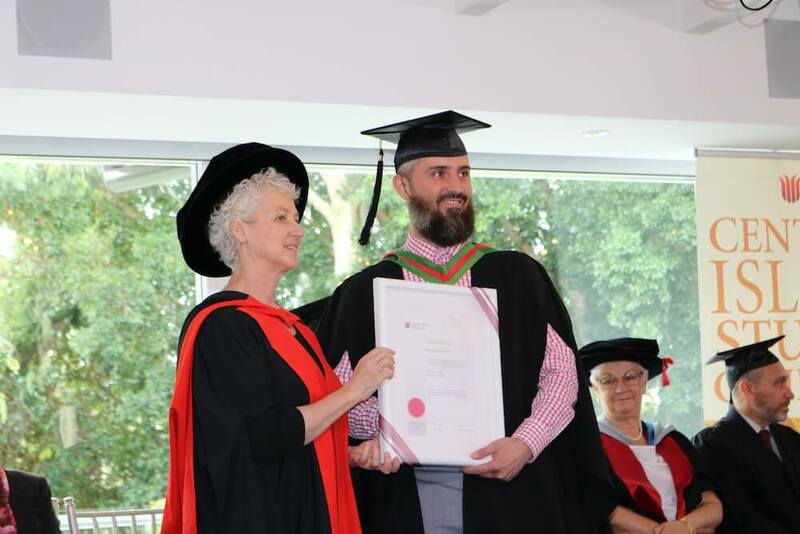 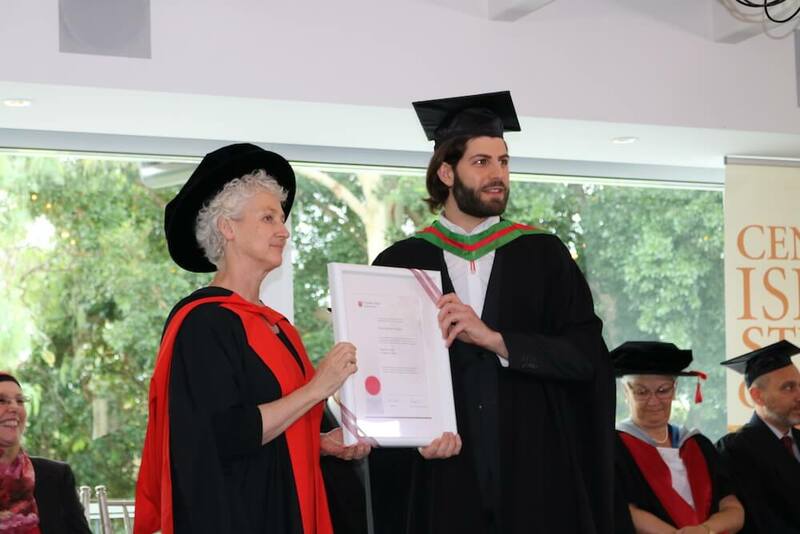 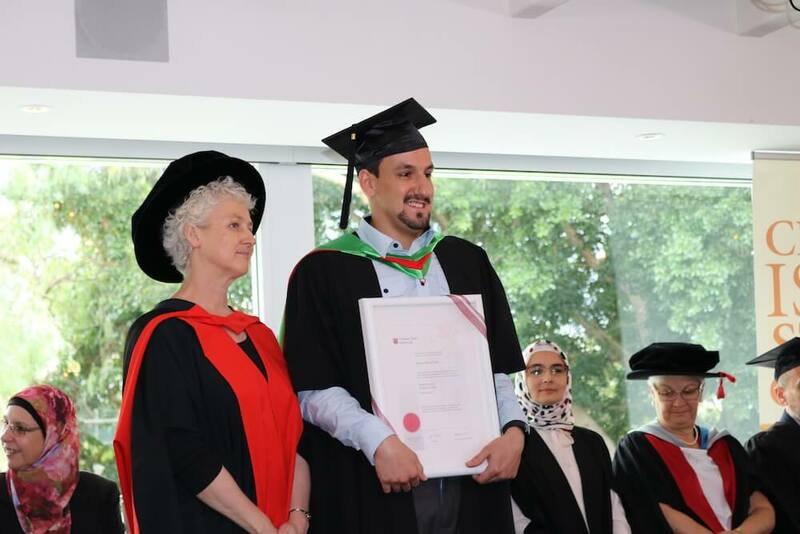 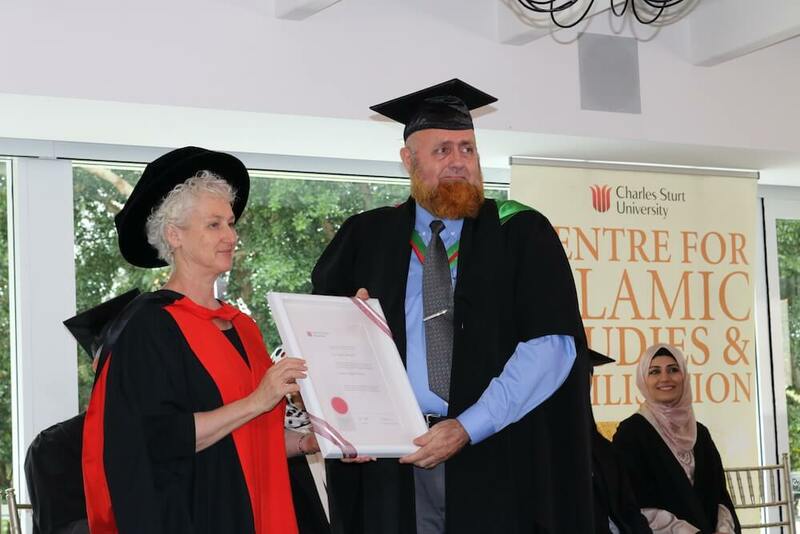 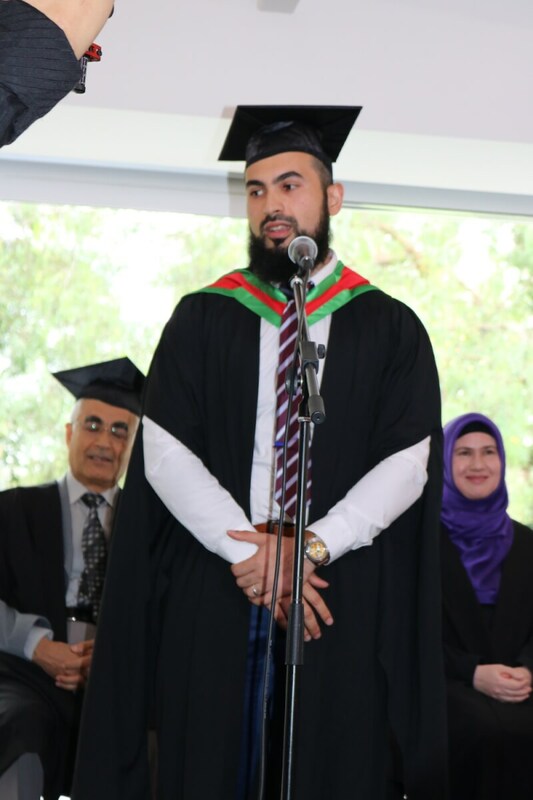 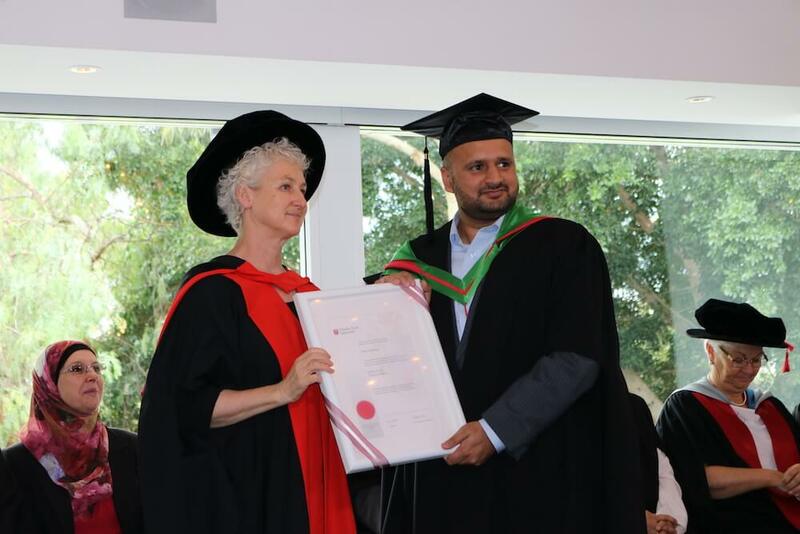 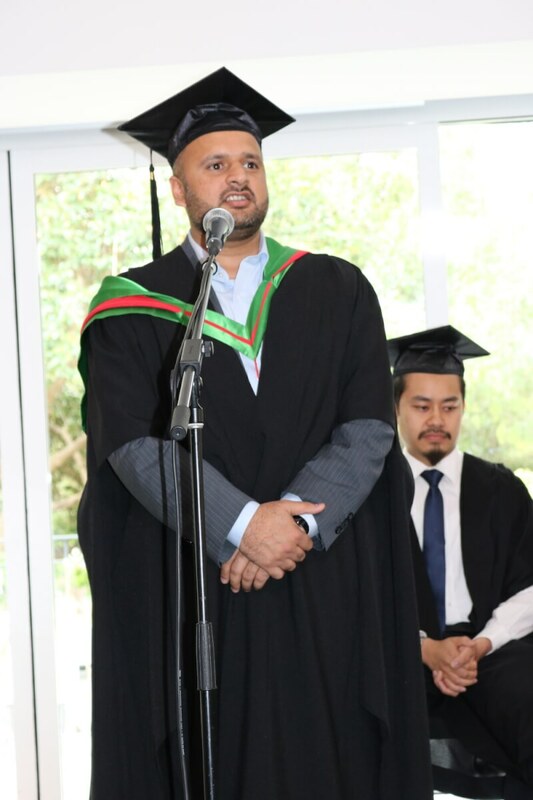 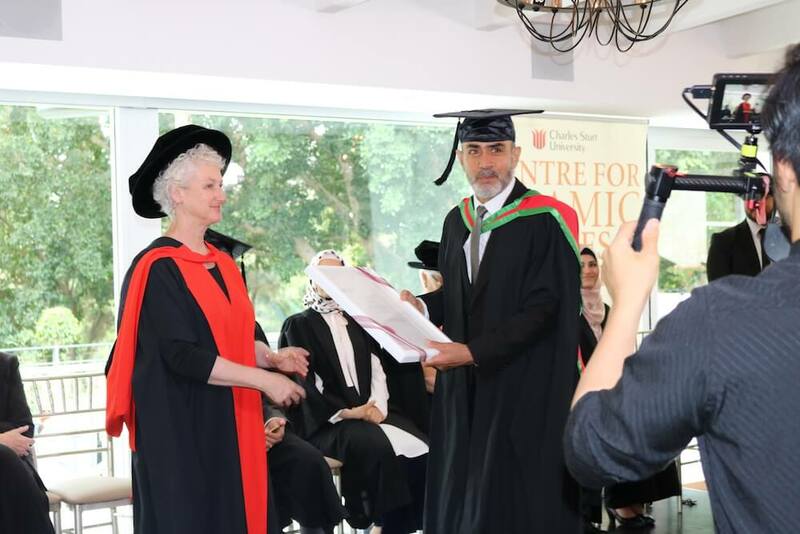 Degrees in Bachelor of Islamic Studies, Master of Islamic Studies and Master of Classical Arabic were awarded to successful candidates by Professor Toni Downs, Deputy Vice-Chancellor, and Vice President (Academic), CSU and Professor Lesley White, Executive Dean, Faculty of Arts, CSU. 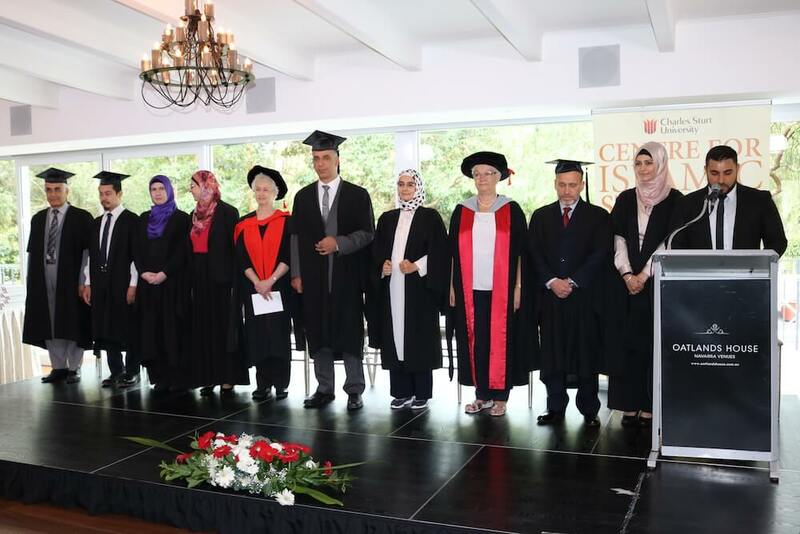 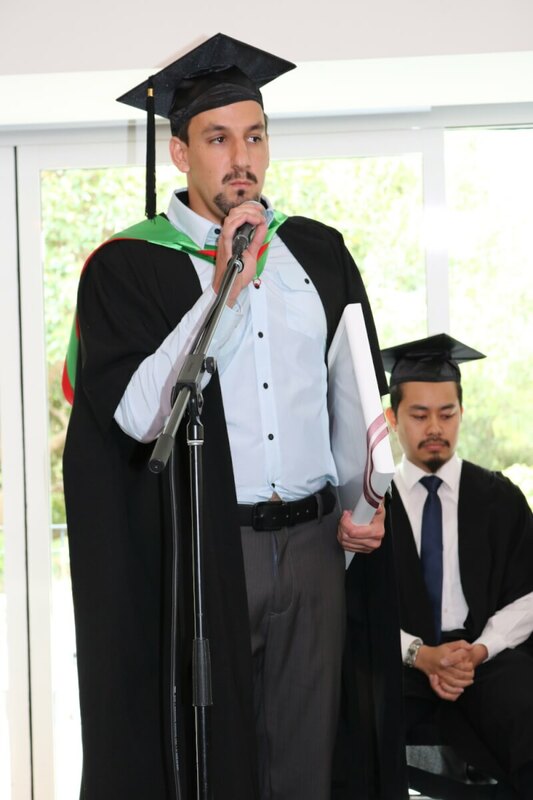 The formal event was also attended by ISRA staff from Sydney as well as Melbourne and Charles Sturt University academics, community leaders and families of the graduates where, in addition to brief comments by staff, the graduates also shared their feelings from the stage in a one minute speech, many of them shedding tears of joy at the completion of their unique educational journey. 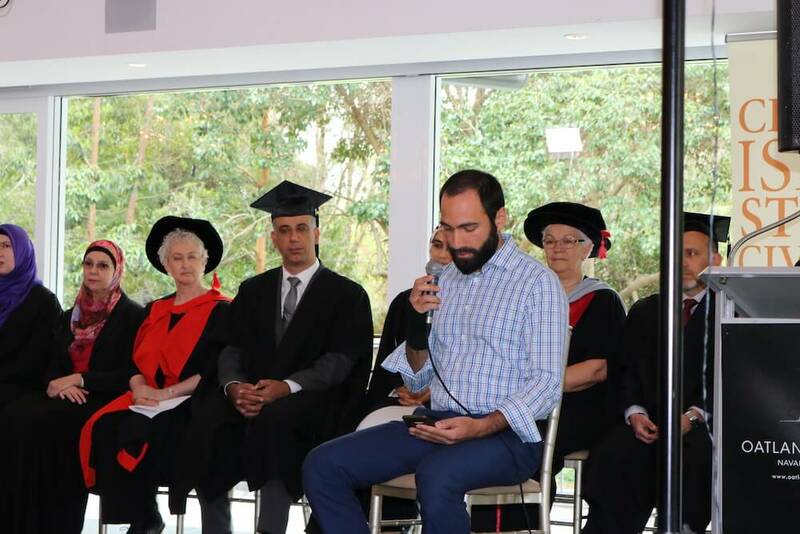 Most of the graduating students were from Sydney, but many from Melbourne and as far as Brisbane and Perth with one student flying in from Hong Kong. 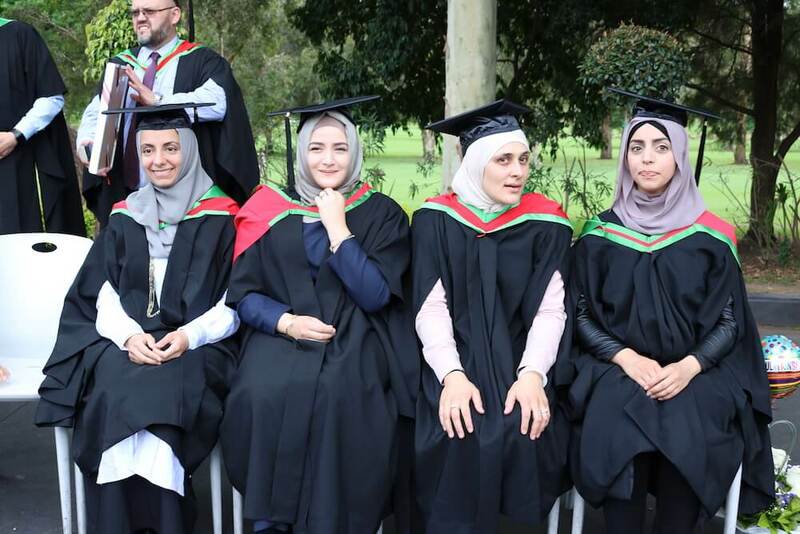 Although female students outnumbered male students, they came from a diverse background, ages and professions. 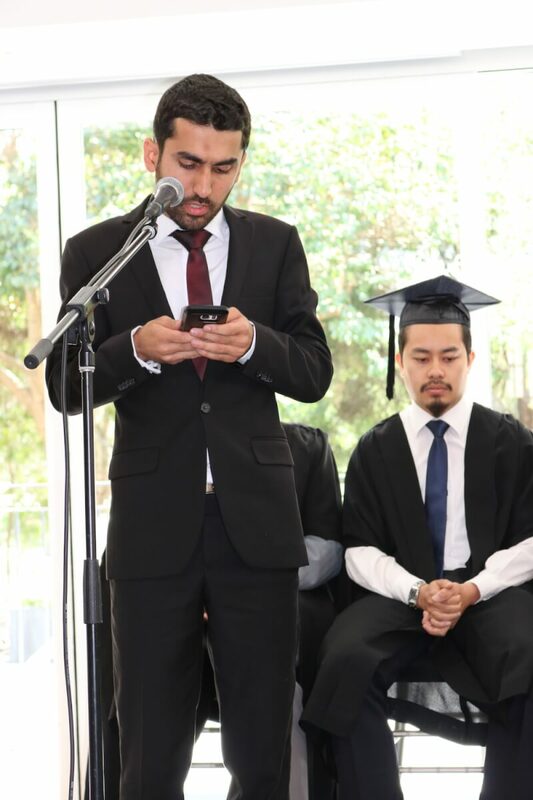 For many students, it was their second, third or even fourth degree. 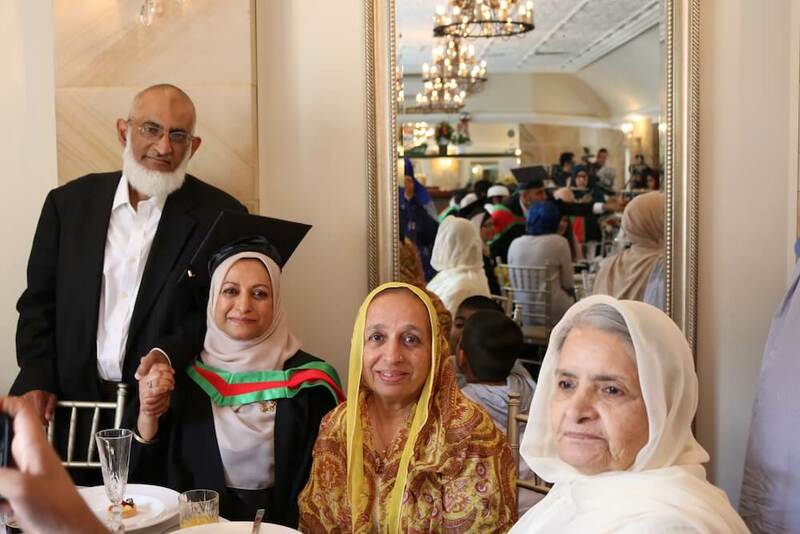 Mir Ansari and Nasrin Ansari graduated together as a power couple together with Bachelor of Islamic Studies in the presence of their children and grandchildren, making them all proud of their great achievement. 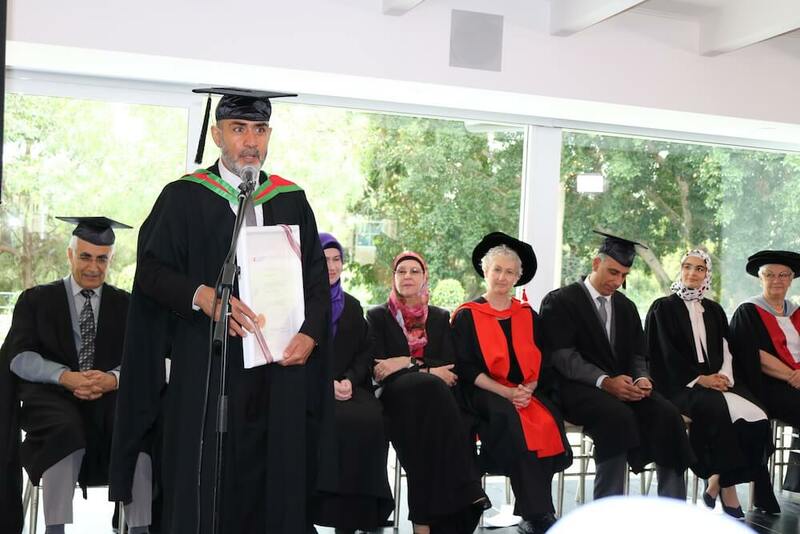 ISRA graduations are a unique combination of intellectual, academic, emotional and spiritual experience held in a dignified yet family-friendly atmosphere. 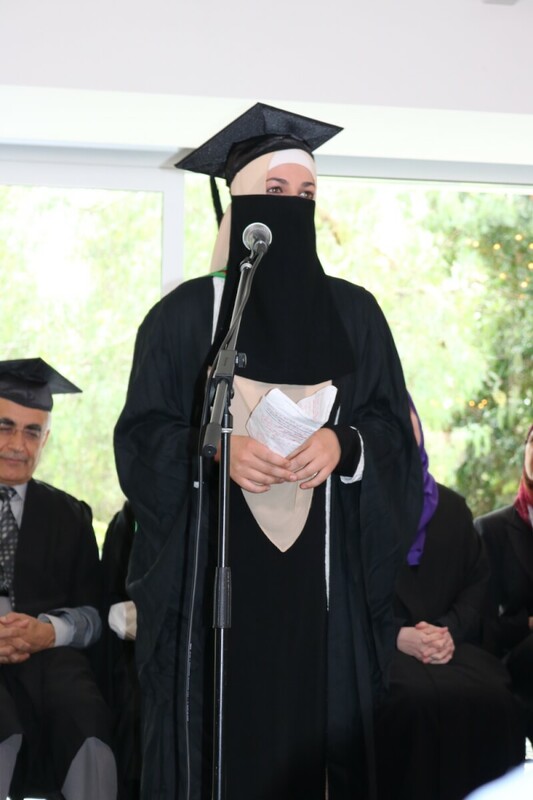 Tears of joy were shed for high achievements by the graduating students, their teachers as well as family and friends. 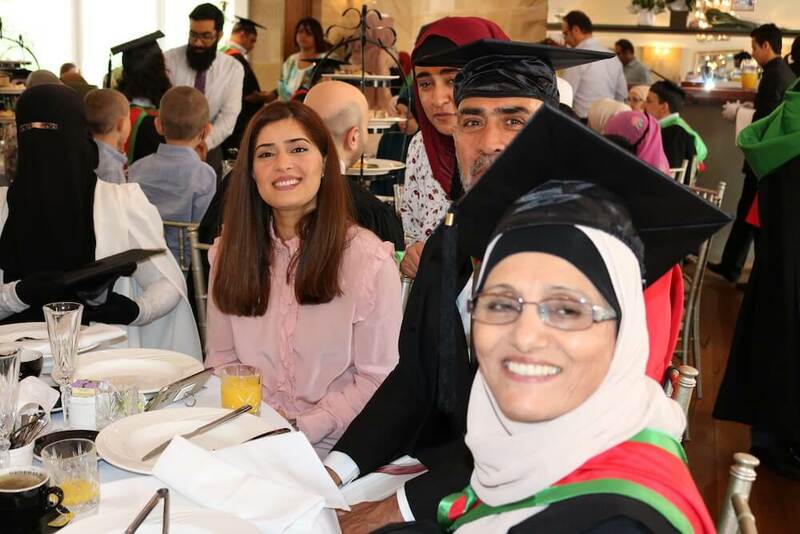 Many of them thanked their mums, dads, their spouses and other family members for encouragement and support. 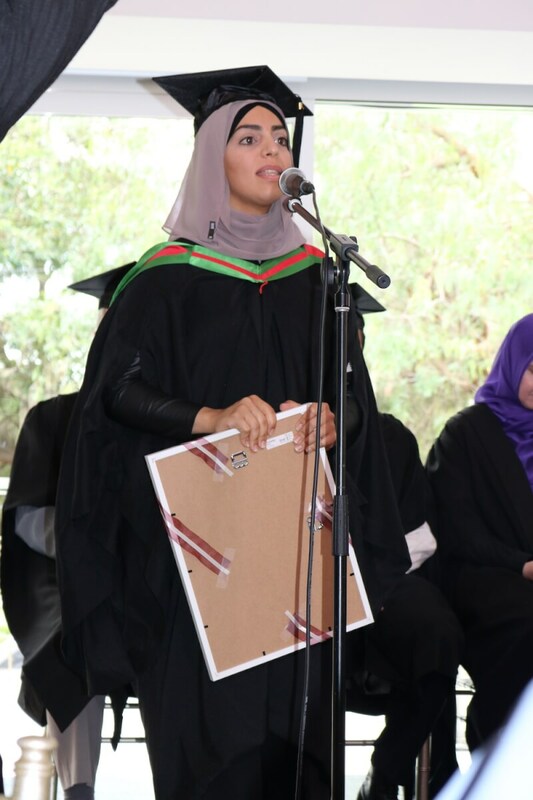 There were also watery eyes for the top student Emna Malas who performed extraordinarily in spite of going through some family difficulties. 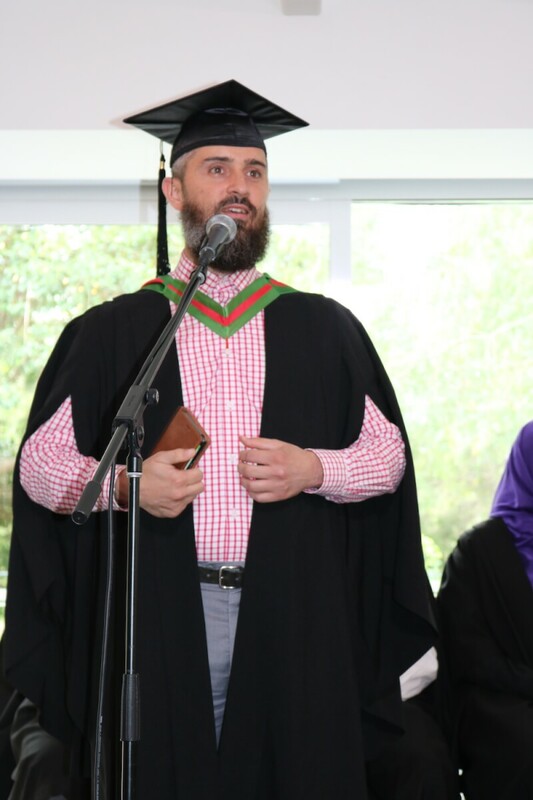 A number of graduating students in Master of Classical Arabic praised their Arabic lecturers Suhail Noor and Shah Idil Abdul Hadi, both from non-Arabic backgrounds. 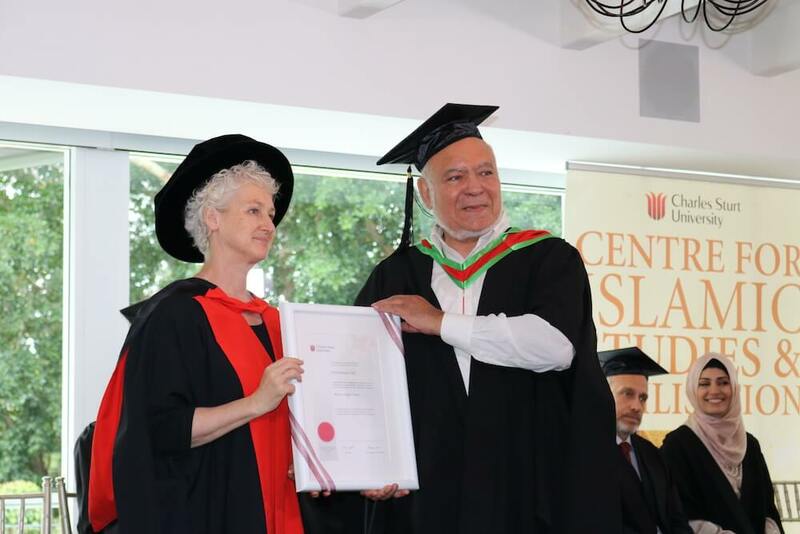 Ustad Hadi was particularly singled out for his devotion, humility and most competent way of teaching classical Arabic language. 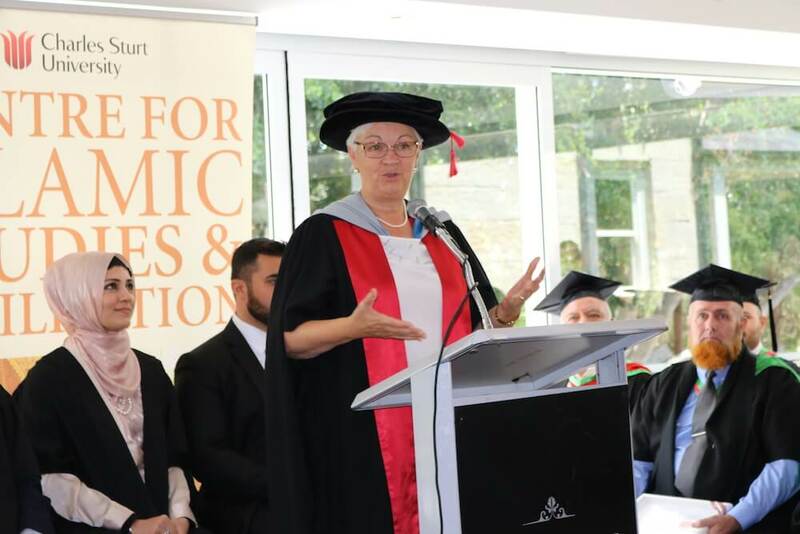 The Honorary guest and keynote speaker at this year’s graduation was Ms Silma Ihram, a former graduate of ISRA and currently Managing Director, Diversity Skills Training based at Parramatta. 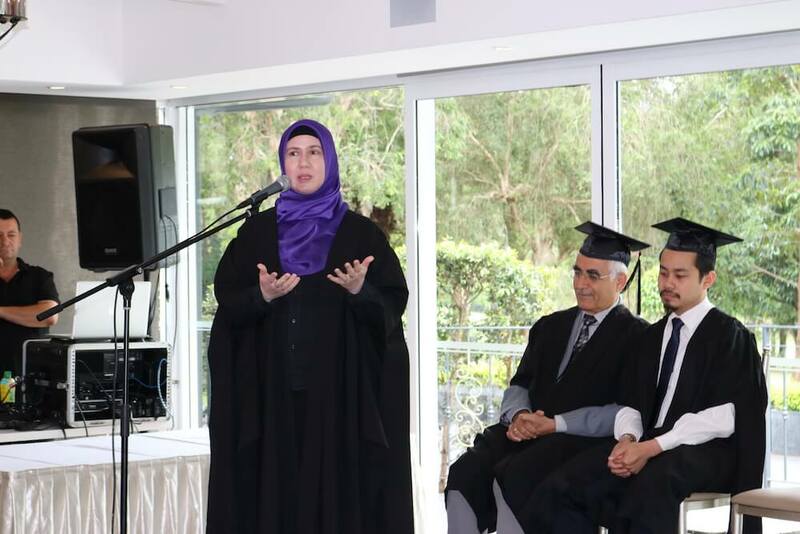 Ms Ihram during her address thanked ISRA for providing a nurturing environment for their students to excel. 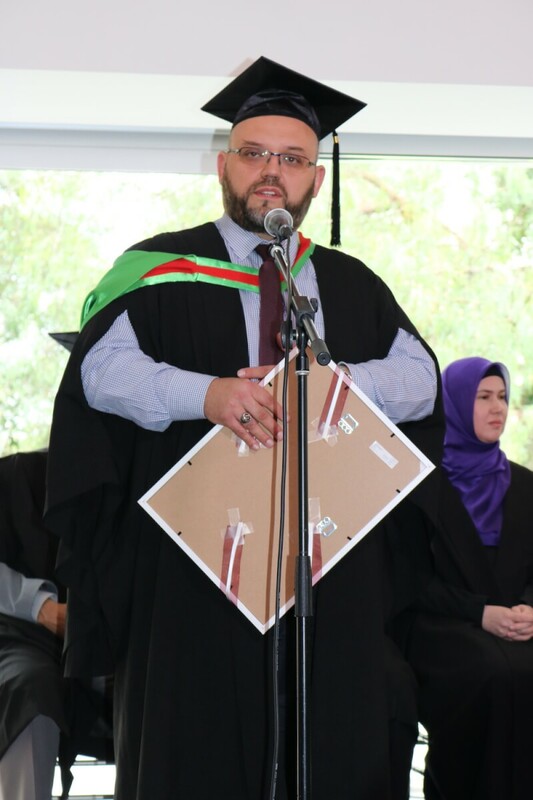 The Director of CISAC, A/Prof Mehmet Ozalp during his concluding address thanked the students for choosing ISRA for their studies. 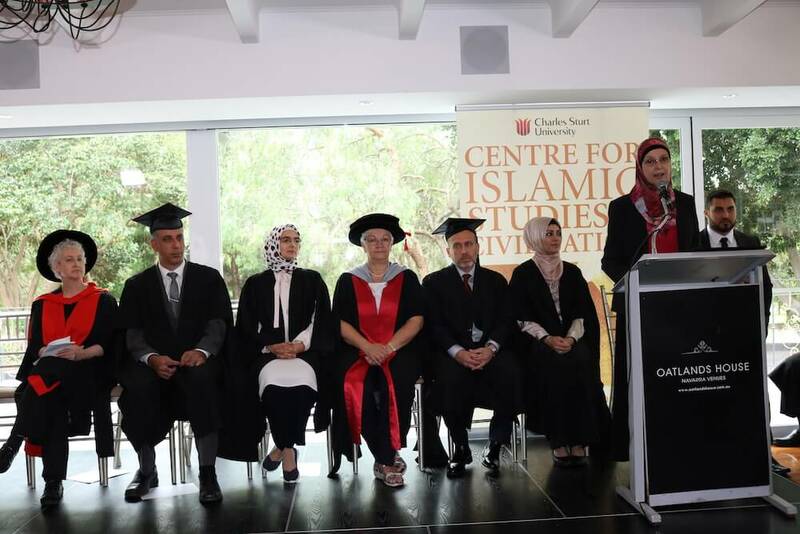 “Thank you for choosing us. 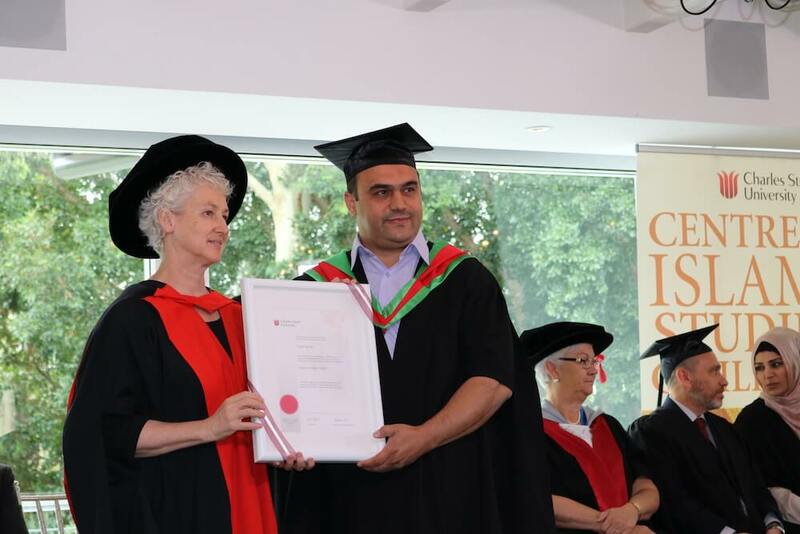 It is not easy for us to deliver the course to a diverse mix of students who choose us. 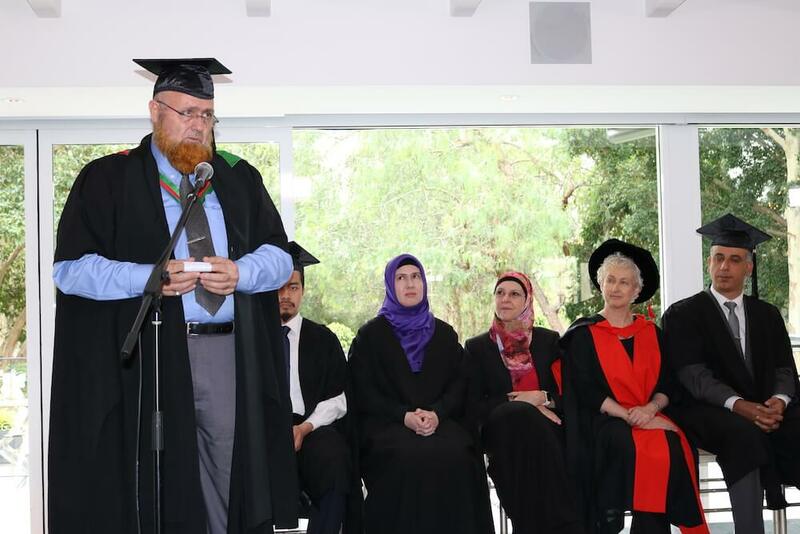 It shows us the diversity of Muslims,”, he pointed out. 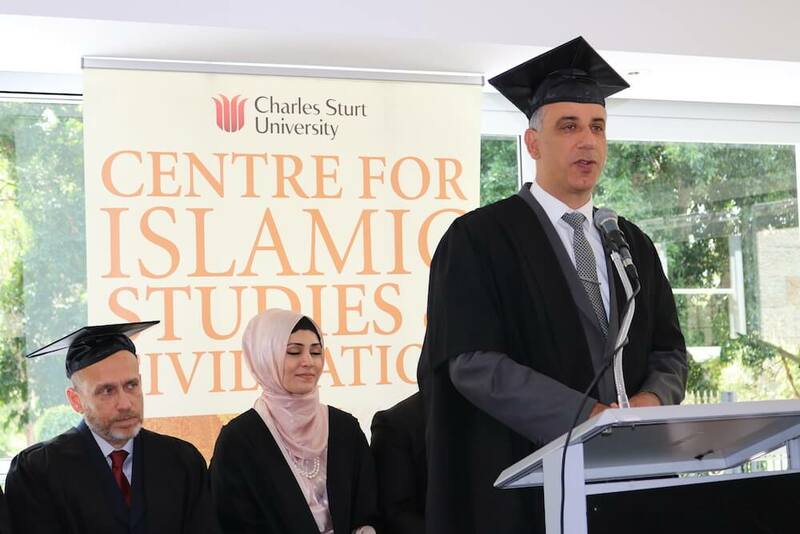 A/Prof Mehmet Ozalp further added,”We are thankful to Charles sturt university. 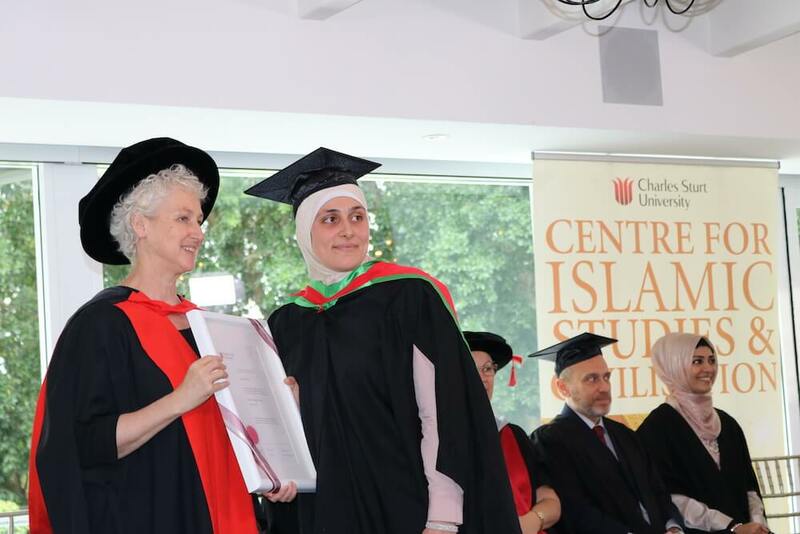 We share the values of CSU that is with our values. 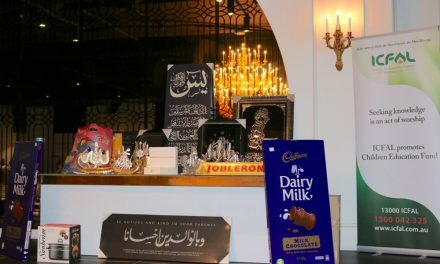 That is Islamic values. 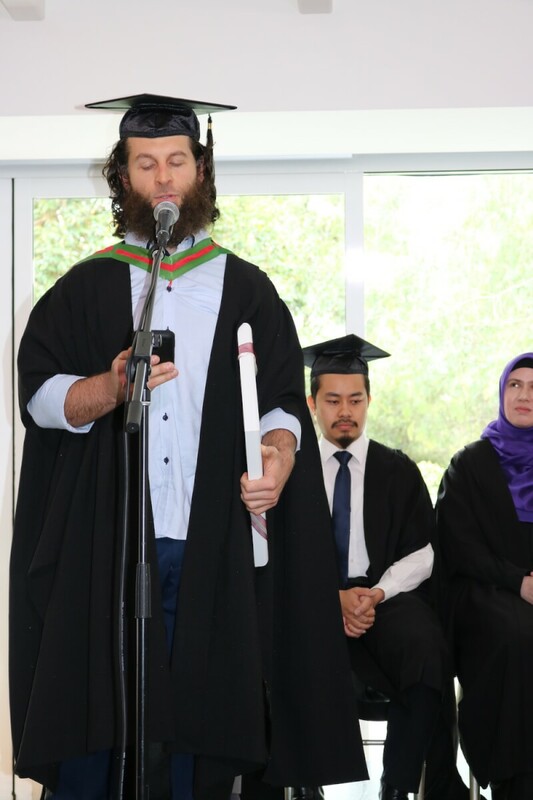 He asked the graduates to show their appreciation to their family and staff with a round of applause. 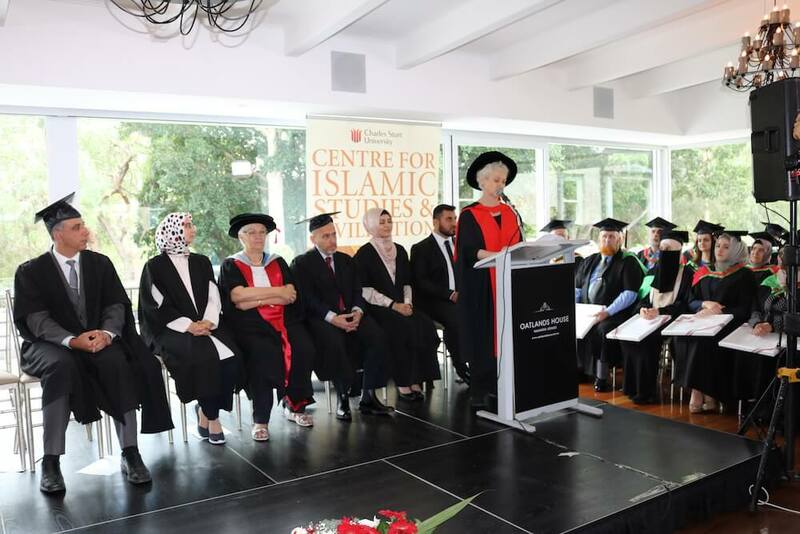 CISAC is a unique institution where its courses are designed to synthesize modern academic excellence in combination with traditional Islamic learning. 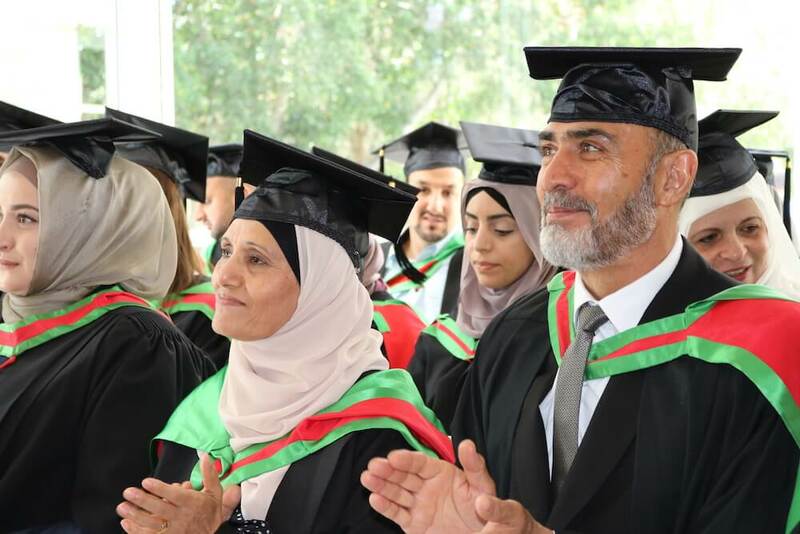 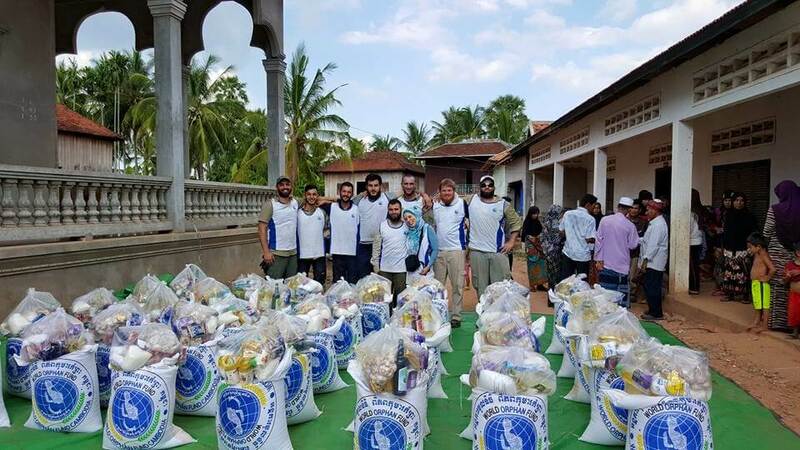 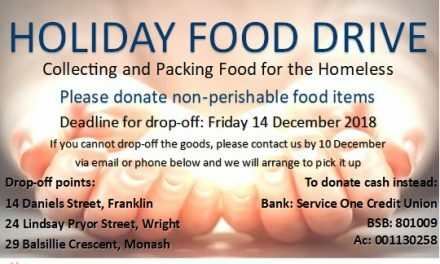 While ISRA has a strong educational and research emphasis, it also focuses on community building and cooperation in religious, social, environmental and other major areas for Australia and the global society. 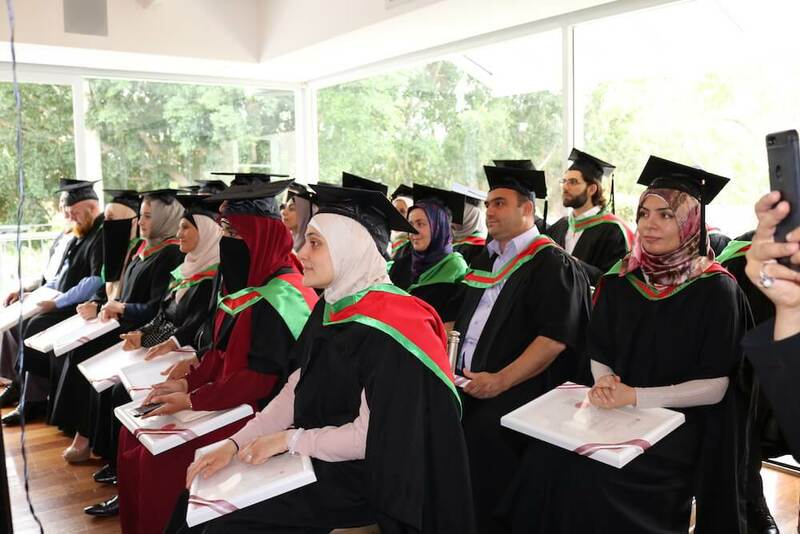 ISRA courses prepare its students to get actively involved in dealing with issues facing the Australian society and, in the process, assist in the development of locally trained religious and scholarly leaders in serving Australian community.